Welcome to The Pier Hotel, Kaikoura! Welcome to The Pier Hotel, sited on the waterfront at Kaikoura, in New Zealand’s South Island. Come and visit Kaikoura’s classic ‘Kiwi’ pub, iconic nineteenth century character hotel guesthouse and restaurant - famous for the freshest seafood and Kaikoura crayfish. The Pier Hotel in Kaikoura offers you comfortable, affordable bed & breakfast accommodation , functions, small conference and meeting facilities, and event hosting. The Pier Hotel has full bar services and a boutique gourmet restaurant . Our speciality is delicious local seafood. 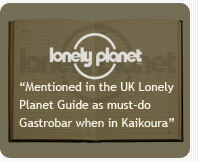 We welcome family bookings and also cater for contractors who may need to stay in Kaikoura for work purposes. There is plenty of on-site parking available. The recently upgraded accommodation features new king-sized or twin beds, with character shared bathrooms in keeping with the 122-year-old history of the hotel. Visitors to Kaikoura have a huge range of attractions to choose from; most famously whalewatching, seal and bird watching. Set on the Alpine Pacific Triangle Route , Kaikoura is an ideal base for exploring the North Canterbury district. The Pier Hotel is situated 2.5km from the town centre, offering a quiet retreat with magnificent views. A courtesy coach is available to take guests to and from the town centre (by pre-arrangement). The bar, with historical photographs and cosy open fire, has been patronized for over a century by the whaling and fishing fleets. It has the authentic atmosphere you'd expect in a country local. The Pier Hotel offers comfortable, convenient accommodation at special rates for business or recreational groups, and is ideally placed for corporate retreats or small meetings . Just contact us if you want to find out about our flexible options and pricing.